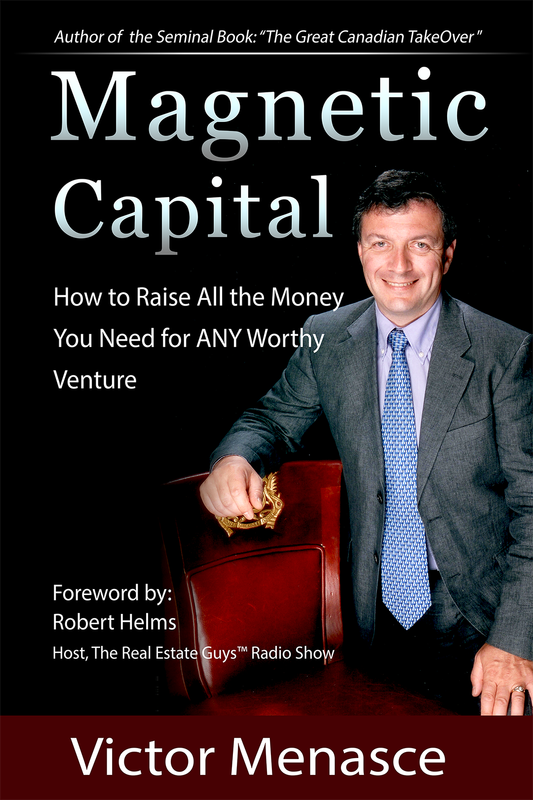 Victor Menasce has raised several hundred million dollars for ventures, corporate buy-outs and real estate projects. As a fulltime real estate developer, he raises funds on a daily basis. Many people consider raising money an inaccessible process that is reserved for Wall Street types who are a special superhuman breed that come from a different gene pool. Others believe that it’s possible to raise money, but they feel uncomfortable asking for money, so they don’t. Whatever your limiting belief, raising money is the one skill that unlocks you from the financial prison that’s holding you back from achieving your goals. Conventional wisdom is that raising capital uses sales technique. Victor strongly disagrees. Nobody likes to be sold. His authentic approach appeals to investors and entrepreneurs who take fiduciary responsibility seriously. This book is only $20.00, but the value is priceless. If you’re having trouble raising money, Victor will show you why, and show you what to do to fix it. These are the same principles I’ve used in my career. The unwritten rules are now written.